Midfielder Ben Close has agreed a contract extension with Portsmouth to stay at Fratton Park until 2021. 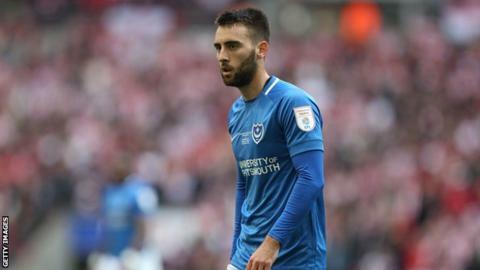 The Pompey academy product, 22, has played 111 games for the club since his debut in 2014 and has scored six goals this season as Portsmouth push for promotion from League One. "The progress this club has made in the past few years shows that we're only moving in one direction," said Close. Portsmouth hold the option of extending Close's deal by an additional year.